The Great Lakes Institute of Management, Gurgaon (GLIM), (formerly Great Lakes Institute of Energy Management and Research) is a private business school in India. It began its operations in 2010 and is an extended arm of the Great Lakes Institute of Management, Chennai, founded by Dr. Bala V. Balachandran. The Institute offers various full-time and executive management programs with the one-year Post Graduate Program in Management (PGPM) being its flagship course. Great Lakes also offers a two-year full-time AICTE approved Post Graduate Diploma in Management (PGDM) (formerly, Post Graduate Program in Management – Energy). The institute considers the scores of GMAT, CAT, XAT, and CMAT for its admission process and attracts professionals with 2 plus years of experience for its flagship PGPM course. 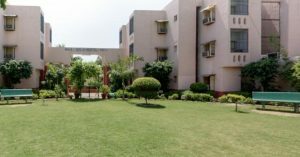 Great Lakes Institute of Management, Gurgaon, sits on a 7.2-acre residential campus situated on the Bilaspur-Tauru Road. FIIB is an exciting place to study and grow. It is a place where thinkers become leaders. In a short span of 21 years, FIIB has carved a niche in the corporate & academic circles for its innovative approach to MBA education and is ranked high among the top management institutions in India. A highly collaborative culture, combined with a small student body creates a vigorous intellectual environment and compelling learning experience. Specialization: Marketing, Finance, Human Resources, Operations, International Business, Information Technology Admissions. Interested candidates can apply online with required information and MAT/ CAT/ XAT/ GMAT/ ATMA/ CMAT Score Card. Shortlisted candidates will be called for Group Discussion & Personal Interview. Candidates will be accessed on different parameters like Career Objectives, Adaptability and flexibility, Taking initiatives and challenges, Self-Awareness and Management, General Awareness and Basic Characteristics. Candidates are selected based on GMAT/CAT/XAT/MAT/CMAT/ATMA scores, past academic performance, work experience, case study analysis and personal interview. FOSTIIMA Business School has been conceived, funded and managed by the alumni of IIM, Ahmedabad. Founded in 2007 by Friends Of the class of PGP Seventy Three of IIMA and hence the name FOSTIIMA Business School came about. The school is located in a modern, spacious; purpose built building in the very heart of South Delhi and bustling suburbs of Mumbai. Apart from its own vigorous skill-intensive curriculum focused on the unique needs of specific industry segments, a degree from Pondicherry University (Central Indian University) shall also be awarded on passing the examinations. Management education at FOSTIIMA focuses on teaching key business concepts while simultaneously developing the analytical skills of the students. It is therefore imperative that the FOSTIIMA course curriculum is contemporary and in tune with the needs of the industry. Accordingly, FOSTIIMA curriculum has been designed by the Dean and the faculty after taking inputs from eminent academicians, industry experts and some leading global B-Schools. Care has been exercised to encapsulate knowledge inputs in all new and emerging areas in the current global economic scenario. The curriculum is reviewed periodically so that it maintains its cutting-edge relevance to the industry. FOSTIIMA’s two years full-time MBA+PGPM commences in the month of July, this is a UGC recognised program. Admissions are conducted through a structured process comprising of a written test (FOSTIIMA Eligibility and Aptitude Test or FEAT) followed by a Group Discussion and Personal Interview. FOSTIIMA shall accept scores of some other tests. Students, who have secured a good CAT/MAT score, need not take the FEAT conducted by FOSTIIMA. They can submit their application form and be directly included in the group discussion stage of the selection process. All aspiring students should have completed their graduation or be currently in their final year of graduation to be eligible. Students appearing for their final year Degree examination may also apply. Testimonials as proof of graduation have to be furnished at the latest by 30th September. Apeejay School of Management, New Delhi is a premier institution, established in 1993, is ACBSP accredited and has been consistently ranked among top 1% private B-Schools in the country and rated A++ by Business India. Mission We nurture globally competent, socially sensitive and ethically sound managerial talent to lead businesses and organisations. We inculcate creative thinking and problem-solving skills through a dynamic curriculum in an interactive learning environment. Vision To be the most preferred management school known for the creation of valuable business leaders. 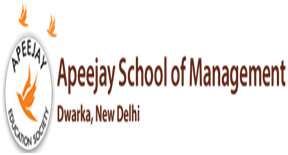 In its endeavour to establish a truly international level Centre of Excellence in Management, the Apeejay Education Society established the Apeejay School of Management (ASM) in 1993. ASM strives to develop competent and relevant manpower for the twenty-first century needs of trade, business, and industry. The School supports the various programs for enhancing the potential of individual students, enriching human values, upholding the Indian value system, all acting in the union as a vehicle for growth at the national and international level, thereby making it a “student-driven” institute of higher learning. Specializations offered are Marketing, HR, Finance, IT, Operations and International Business. The course is equivalent to MBA by AIU and accredited by ACBSP. The curriculum includes a summer internship project after completion of 3rd trimester and Final Research Project starting in the 4th trimester. 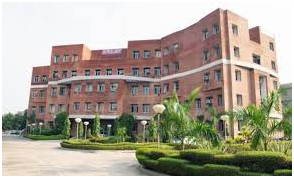 Institute of Technology and Science, Mohan Nagar, Ghaziabad (ITS, Ghaziabad or simply ITS) is a postgraduate college in Ghaziabad in the Indian state of Uttar Pradesh. The institute imparts education in the field of management and Information technology. Institute of Technology and Science, Ghaziabad is a part of the I.T.S, The Education Group. The institute was established in 1995 in Ghaziabad, Uttar Pradesh. The college offers a 2-year MBA and both 3 and 2- year MCA courses. Courses are affiliated to Dr A.P.J. Abdul Kalam Technical University. Established in 1993, IILM is a business school with three campuses within the National Capital Region of Delhi, located in New Delhi, Gurgaon and Greater Noida. IILM has been ranked 20th by Eduniversal in 2014 Rankings of the best Indian business schools (3 Palmes of Excellence category). IILM has also been accorded accreditation by the South Asia Quality Improvement System (SAQS). SAQS was developed by the Association of Management Development Institutes of South Asia (AMDISA) and the European Foundation for Management Development (EFMD) as a special project under the Asia Link program funded by the European Union. IILM’s integrated and experiential PGDM curriculum puts together the latest in terms of carefully aligned inputs sourced from best of leading US B-Schools at its centrally located, safe and secure campuses located in New Delhi, Gurgaon and Greater Noida. It is but a testament to IILM’s commitment to providing transformational education and the quality that the institute assures year after year, that EdUniversal ranked IILM as 11th among best Indian business schools in 2015. Also, its various institutes have been consistently ranked amongst the best B- Schools in the country. IILM’s mix of nationalities, cultural backgrounds, academic and professional experiences make it one of the most exciting and enriching business schools in the country. Its long belief and efforts to prepare global managers who have cross-cultural training have become a benchmark for management institutes across the globe. Lodhi Road, New Delhi: IILM New Delhi campus is located in the heart of Lutyens’ Delhi. 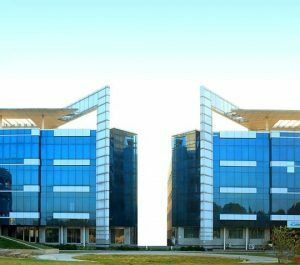 Knowledge Park, Greater Noida: The Greater Noida campus is located in the special educational zone known as Knowledge Park. It comprises the College of Engineering and Technology, the College of Pharmacy and the Graduate School of Management. Engineering and pharmacy courses are affiliated with Uttar Pradesh Technical University. From our flagship, two-year full-time PGDM program to the intensive, Ex-PGDM Program, IILM´s degree programs empower business leaders with the skills and capabilities necessary to solve complex business world problems, drive innovation, and improve the world at large. Strategically located in the Fastest Growing Economy of the World with globally acclaimed programme design and delivery, the IILM programmes provide students with a strong exposure to global best practices in business while being firmly rooted in an emerging markets context. 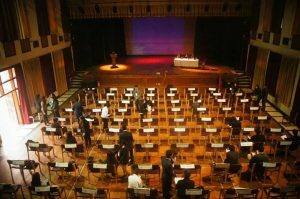 This lends a unique perspective to IILM students, preparing them to capitalize on the new opportunities in the global economy as well as preparing them for the threats at the same time. With a strong emphasis on entrepreneurship and family business, the impact of applied technology on commerce, and the emerging global markets, programmes at the IILM focus on managing the business in fast-evolving and volatile environments. Learning at the IILM has a pragmatic approach to a clear business understanding, valuing individual views, intellectual discipline, and a sense of teamwork. A learned and research-oriented faculty pool, globally benchmarked curriculum, industry-institute interface through guest lectures and workshops, innovative pedagogical methods enable students at IILM to develop and maintain their edge. Excellent placements across FMCG, Financial Services, HR consulting, Retail, Infrastructure, Technology, Research, etc. Professional learning environment supported by institute-industry interface and faculty with industry and academic experience. Specialization in Marketing: The objective of specialization in the field of marketing in MBA is to increase the knowledge and enhance the skills of those working in the field of marketing, advertising, public relations etc. The goal is to develop increased sophistication relative to marketing decisions and prepare students to study at advanced levels. The course is designed to give students conceptual frameworks and tools to help firms meet demands of the marketplace in a profitable way. A wide range of marketing strategy topics and marketing are covered along with imparting the knowledge of the discipline’s foundations. Specialization in Finance: Today’s financial environment, the fundamental trade-off between risk and return, the time value of money, and valuing future cash flows are important for budding managers. Financial tools and techniques, which can be used to help firms maximize value by improving decisions relating to capital, are vital areas in finance which specialise in finance should know. The course develops the basic analytical skills and principles of corporate finance and applies them to real-world problems using case analyses. Students are trained to evaluate financing alternatives, to plan the company’s future performance, to evaluate investment projects and choose the optimum financial mix. The minimum eligibility to apply for UG courses offered by Bharati Vidyapeeth University is 50% marks in Class XII or equivalent from a recognized board or university. Candidates applying to PG courses must be Graduates with minimum 50% marks or equivalent from a recognized university. There’s a provision for relaxation of 5% for SC/ST candidates. Admission to Bharati Vidyapeeth Deemed University Institute of Management and Research is done on the basis of Common Entrance Test (CET) also known as AICET (All India Common Entrance Test). The test is conducted individually for all the subjects on different days. Check the below-mentioned course wise CET schedule. The university conducts BVP CET for B Tech, B-MAT for MBA and B-CAT for MCA. Post the entrance exam, GDPI or counselling will be conducted for relevant programmes. The candidates are expected to be present in person for GDPI and Counselling sessions. Candidates can apply to the course of their choice by filling an online application form which will be available during the registration period.